Rachel Ilan Simpson is a Senior Designer with over 7 years in the field, working with award-winning Design Agencies, ground-breaking Startups, and for the last 4 years with the Google Chrome UX team. She has worked with clients and collaborators like Seth Godin, BMW/DriveNow, Google Duo, Doctors without Borders, and Freeletics. She has led over 20 Design Sprints, events which create and test solutions for critical organizational problems in one week. Her Sprints have helped Doctors Without Borders drive organizational change, and transformed how Chrome approaches translation. She has spoken at 30+ events in 7 different countries. She also starts new things. Most recently, she co-founded the first German version of the Maker Faire, called Make Munich, and founded the Design Jam, a quarterly event in Munich and London which brings together coders, designers, and business people to build products over the course of a single day. 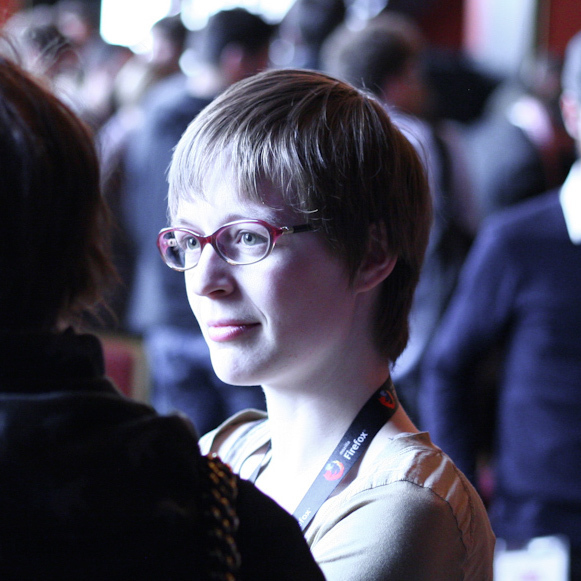 For the last 5 years, she’s worked with the local IxDA chapter to bring great speakers to Munich each month. Digital products in emerging markets are leapfrogging our existing best practices. Where Designers see new constraints, they create useful, compelling solutions. Rachel Ilan of Google Chrome will describe these user constraints, and show how we can we can up our game while designing for the next billion users.